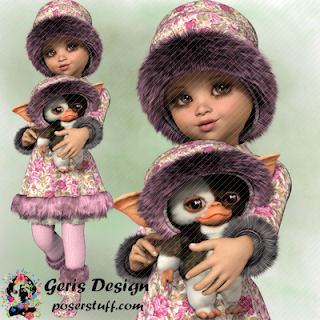 Robyn is an adorable Winter themed Poser by Geris Design. Dressed up warm and cozy carrying her favorite toy. She’s perfect for all of your designing needs. · 1 full tube. 4500 pixels height. Transparent. A Timeline Set for your viewing so you can see how beautifully she is with a Winter, or even Christmas, Scrap Kit of your choice. You can find Robyn in stores HERE and HERE.